Why choose the Frosted Film? 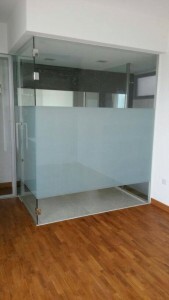 Frosted film is mainly used to block out privacy without restricting sunlight from coming in. Commonly, it is popular to install onto shower screens other than windows. Especially in the condominiums where the toilets is covered by full height transparent glasses instead of the tile wall. This created a stylist and artistic view to your house stay. It is easily to maintain by wiping it clean and the best thing is there will be no bulky or heavy system work to be done at all! Stay cool and just wait for our professionals to install the wonders for you! 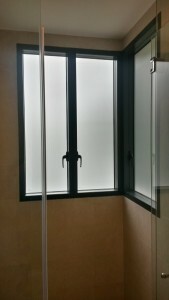 As above is an example of the frosted film installed on a bathroom windows. While it helps to block off privacy, it also provides sufficient light to come in and brighten the bathroom. Customers may call us now to inquire on your window furnishing needs. Certainly we have experienced consultant here to assist on your needs. 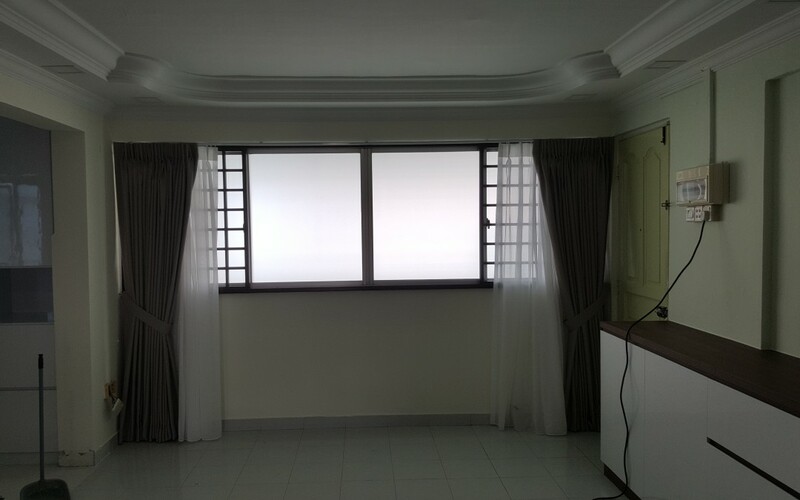 Because we fabricate to your needs so you can choose Singapore MTM Curtains.